Designed specifically to benefit sensitive, dry or irritated skin. 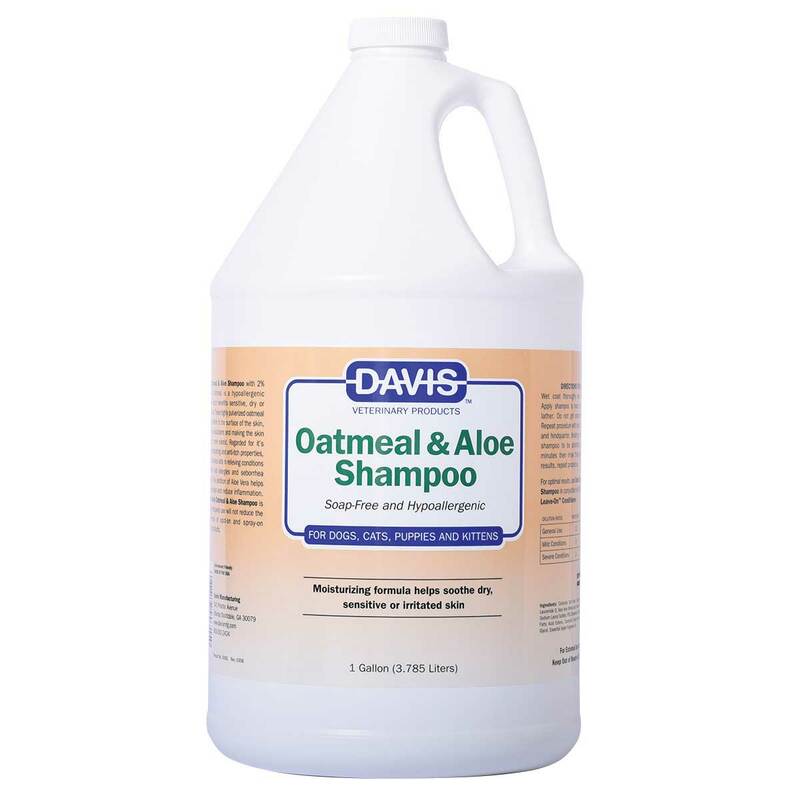 Contains Colloidal Oatmeal which is highly regarded for its superior moisturizing and anti-itch properties. This hypoallergenic formula is consistently recommended for pets with allergies and seborrhea dermatitis. The added Aloe Vera helps soothe redness and reduce inflammation. Soap-free formula will not reduce the effectiveness of spray-on and spot-on insecticide products. For dogs, cats, puppies and kittens.